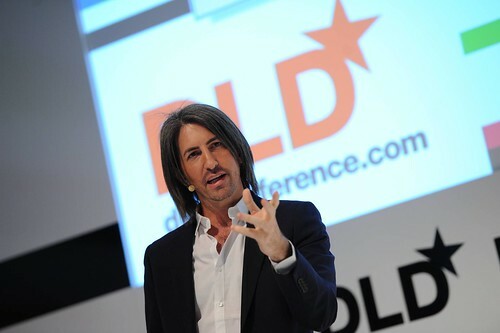 The hacker-turned-neuroscientist, Dr. Moran Cerf, has come to DLD13 to speak about the brain. Cerf's career trajectory may sound a little odd at first, but not for nothing is the brain often called 'our body's computer'. The Israeli, who now works at UCLA, first order of the day is to convince his audience that humans are who they are because of their brains. Illustrating his point, he tells the story of Charles Whitman. Whitman was a former marine who went on a mass-shooting rampage in Austin, Texas in 1966 after developing a brain tumour. It was a case which exemplified not only how changes in our brain can change who we are, but to a great extent even when we are conscious of those changes we may not be able to control them. Whitman's is an extreme example, but in fact Cerf thinks we are fighting our brain every day. "Take the snooze button," says the slender man while images of different alarm clocks appear on the screen behind him. "My brain is what has told me set the alarm and at what time. So why do I repeatedly hit the snooze button?" To answer questions such as this, Cerf has been "piggybacking" on a specific epilepsy treatment – in which electrodes are inserted into an epileptic person's brain to identify the "faulty part" – to listen to the brain. An important finding he shares, is that although we may all feel unique, we are connected through our behaviour and thought patterns. "It's like my grandfather used to tell us: 'You are very unique. Just like everyone else'," says Cerf. By listening into the brain neuroscientists can know something about us before we actually do it, and even before we want to do it (an idea which must have influenced Steven Spielberg's film, 'Minority Report'). Apparently there is now even an invincible rock-paper-scissors game online. How is does it beat you every time? "It uses a very simple algorithm," Cerf explains. Apparently the programme simply identifies your pattern and then finds someone else in the world like you – so that it can predict your next behaviour. "There is something special about the brain," Cerf says as his talk comes to a close. "It’s very, very complex. But there is a saying among neuroscientists: if the brain were simple enough for us to understand, then we would be too simple to understand it. But still I’m trying."